Directed by Andy Nyman and Jeremy Dyson. Starring Andy Nyman, Martin Freeman, Alex Lawther and Paul Whitehouse. 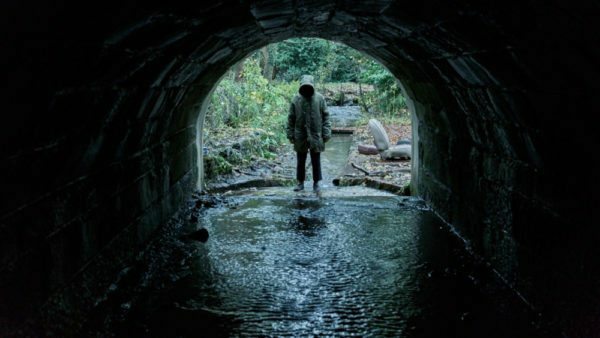 Arch sceptic Professor Phillip Goodman (Nyman) embarks upon a terror-filled quest when he stumbles across a long-lost file containing details of three cases of inexplicable ‘hauntings’. Actor Andy Nyman and The League of Gentleman co-creator Jeremy Dyson adapt their hit 2010 West End horror play to the big screen with plenty of panache, in this familiar yet passionately wrought anthology romp. Professor Phillip Goodman (Nyman) is a TV celebrity who debunks paranormal hucksters taking advantage of the naive and recently bereaved, but his life is changed when he receives a letter from a famed 1970s debunker who has been missing for decades and presumed dead. 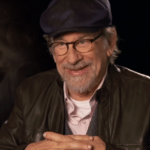 Upon meeting the man, who is now in old age, the man explains to Goodman that he came across three paranormal stories so disturbing that they shook his very disbelief in the supernatural, turning him into a maybe-believer. Phillip’s job is to investigate the three ghost stories and find the truth in each once and for all. The play on which this film is based famously begged audiences not to reveal its myriad secrets, and to that token we’ll keep plot specifics light. It’s no spoiler to say that the three stories Phillip investigates are interlinked on their way towards a payoff, and on that journey Nyman and Dyson clearly relish both playfully toying with the audience and homaging classic genre fare. 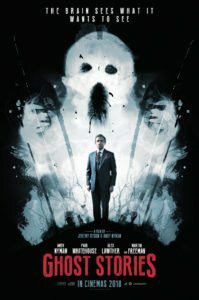 For starters, it should be said that Ghost Stories is certainly one of the most consistent horror anthologies released in recent years; there’s no clear dud among the three stories, as is so often the case. This is in large part because even the least interesting of the triptych – in which Paul Whitehouse’s night watchman suffers through a traumatic, possibly supernatural event – is boosted by strong acting. Hardcastle’s performance, as an everyman taunted by crushing personal demons, is so magnetic and convincing that it’s hard not to be pulled in. 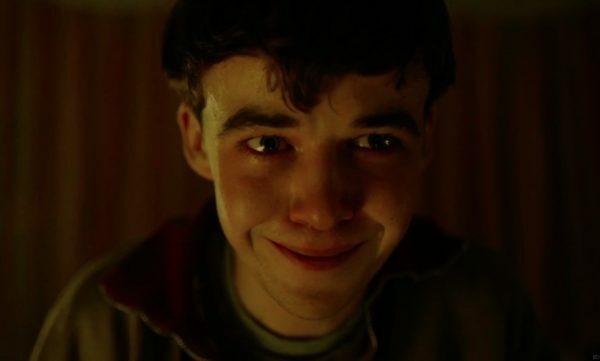 He’s the best of a refined bunch, with Alex Lawther continuing to cement himself as a highly compelling young talent (fresh off appearances in Black Mirror and The End of the F***ing World) in the second story, which sees Lawther playing a twitchy teen reminiscing on an especially harrowing car ride through the British countryside. 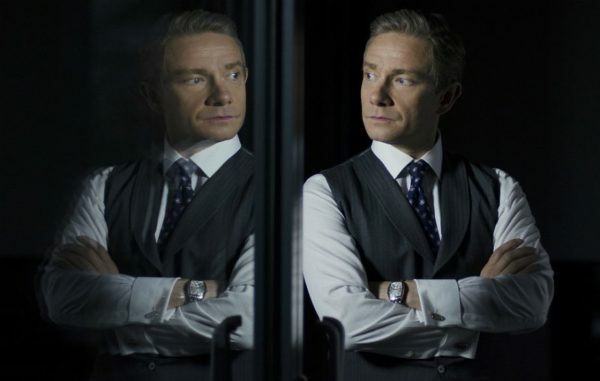 Then there’s Martin Freeman, who has so thoroughly perfected dapper smarm and makes the most of it here as a city trader who recounts the time he was besieged by a poltergeist. Even with a powerhouse talent like Freeman, though, the star of the show is unquestionably Nyman, an actor whose unassuming presence might typically endear him more often to comedy than Serious Drama, but he gets to go to some especially challenging and interesting places in act three, and ably rises to the occasion. 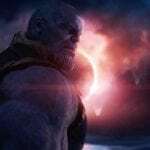 However, all three of these tales do eventually get down in the weeds with genre tropes, and there’s not always the subversive sting supplied that you might be expecting. If the overabundance of jump scares feel somewhat calculated to make the film more accessible to casual audiences, it’s little surprise the typical set-pieces on display are where hardened genre fans might start to check out mentally. The frequently loaded, intense dialogues, however, are where the fear truly lies (and considering that this project began as a play, that’s not remotely surprising). It’s hard to imagine many but the most timid of audiences finding the film traditionally hair-raising, with the jumps both predictable and tame, but the movie smartly balances things with both the aforementioned spoken terror, and also by hurling plenty of pithy, distinctly British humour into the mix, with some especially laugh-out-loud moments during Lawther’s mid-film story. Even if that first hour in particular trades a little too eagerly in cliches, things pick up significantly in act three, with a number of clever reveals that, in lesser hands, could’ve felt hokey or trite. Here, they offer up a giddy spin on the choices filmmakers in this position would typically make. Hell, there’s even a clever reveal that’s something of a meta-commentary on the way we consume movies and approach performances. 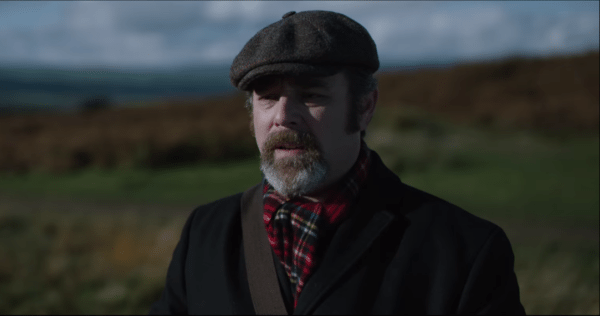 As a feature debut for Nyman and Dyson, Ghost Stories establishes the pair as capable genre filmmakers who know how to get the most out of their talented cast (including the under-appreciated Nyman himself, who is clearly just waiting for his Hollywood break to happen). One hopes the two attempt something a little less conventional next time, but as a calling card, this is really quite a remarkable effort.